Private investigator Katerina Carter and boyfriend Jace Burton embark on a cozy weekend getaway just before Christmas at a luxury mountaintop lodge. While he writes the biography of a billionaire environmentalist, she explores the snowy wilderness. Then two local environmental protesters die under mysterious circumstances. Kat and Jace race to uncover the truth only to face even deadlier disaster. The mountains take no prisoners. In the remote mountaintops of the Rockies, everyone looks out for each other. Except for cold-blooded killers, that is. And the killer is creeping closer and closer. Someone doesn’t want this case solved. And they’ll do anything to stop Kat from finding the truth. 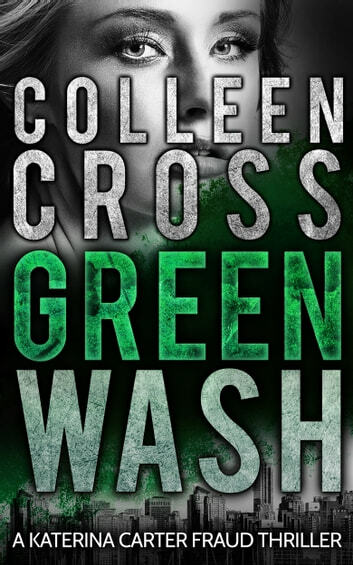 If you like intriguing mystery thrillers liberally spiked with spine-tingling suspense, you’ll love Greenwash, a heart-stopping adventure! From #1 Bestselling Author Colleen Cross comes an edge-of your-seat whodunnit mystery thriller with a killer twist - one you won't see coming! 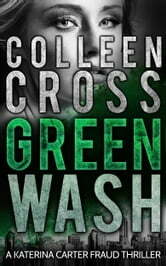 Trying to solve two mysterious deaths leads to lots of suspense in Greenwash. Loved the mountain setting and the dangers that snowy winters can bring. An exciting addition to the series!